Hiking vs Trekking: What's Are The Differences? Hiking vs Trekking: What’s Are The Differences? Hiking vs Trekking can be a bit confusing sometimes. The terms are thrown around loosely due to their similarity. Backpacking is yet another term that can be used for hiking vs trekking. The main difference with backpacking is that you carry a large hiking backpack that has all of your gear. This backpack will have your food, water, shelter, cooking supplies, first aid kit, and clothing. If the duration of the trip is multiple days or more, you can use the term “backpacking”. The main difference between hiking and trekking is intensity. Hiking will usually be easier than trekking, and trekking will be a bit more strenuous. The following breakdown should help you chose which is best for you, and how to get started. There are several different ways to define hiking. Generally, a long walk that is on a designated trail for a single day is considered hiking. It is most common for hiking trails to be between one and ten miles. Sometimes these trails are loops, and sometimes you have to turn around and hike back. The intensity of hiking usually depends on what trail you choose. Some trails are mostly flat and easy to hike, and there are some trails with steep hills and switchbacks. Types of trails depend on where you live or how far you’re planning to travel. Some trails, especially in rural areas are very remote. These trails have few roads that can access the trailhead, and you likely won’t have cell phone reception in these places. Stick to flatter trails to get your body accustomed to hiking. Even flat trails can make you sore if you’re a beginner hiker. There are many different trails that you can choose. Most trails in mountainous areas are going to be intermediate to expert level. These trails will have steep hills, switchbacks, jagged rocks, and sometimes even fallen trees. Most established trails will have trail markers of some kind that direct you towards the right path. These markers will usually be a colored tab on trees along the trail or signs with arrows if you’re on a trail in a more established area. Always take a trail map and compass with you if you know you’ll on a long trail. Some trails are very easy to get turned around in, even though most have clear markers. Once you’re away from roadways and signs, the trees all begin to look the same. To find a hiking location near you, you can google search the area, as well as finding national and state parks. What Equipment Do I Need for Hiking? Choosing equipment for hiking is much easier than trekking or backpacking as long as it’s just a day trip. Snacks that are high in protein, such as nuts, granola bars, tuna & crackers, etc. First-aid Kit. Always be prepared, cuts and scrapes happen more often than you’d think. Always make sure that your hiking boots and socks are in excellent condition. Not only do they keep you comfortable, but they aid in preventing foot injuries such as sprains and twists. What is Trekking / Backpacking? Trekking and backpacking are so similar to hiking that you could actually call them both hiking. The main difference is how rigorous the trail is, and what type of gear you carry. Trekking and backpacking are very similar because they both tend to have more rugged terrain. You will face rocks, fallen trees, steep inclines, and switchbacks in mountainous areas. Backpacking is a type of hiking that requires you to be self-sustained for days, weeks, or even months on the trail. You will have to carry your food, water, and shelter in your backpack for the entire duration of the trip. Backpacking will require much more planning as you have to survive off of what you can carry. On long trips, such as thru-hikes, you will have to plan what towns you can stop in to restock supplies such as food and water. Trekking and backpacking trails are very similar to hiking trails. In fact, some of these trails are the same. This situation is where the terminology gets mixed up and used interchangeably. 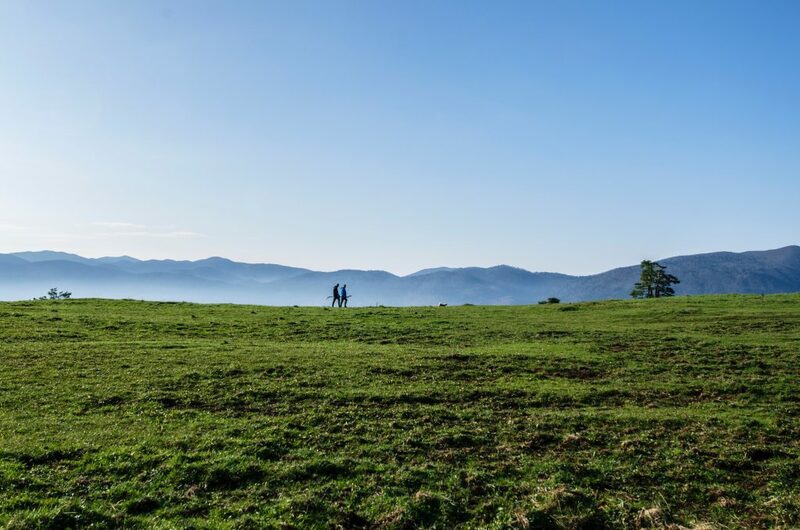 Trails such as the Appalachian Trail will have areas that are easy enough to be considered hiking, and some sections could be regarded as trekking. The main difference in hiking vs trekking trails is that you won’t find places that you can backpack in local parks. Most of the time, when backpacking, you will be in a state or national park. Backpacking trails tend to be marked the same way as most hiking trails. There will be colored markers or signs with arrows that point you in the right direction. What Equipment Do I Need for Trekking / Backpacking? Backpacking and trekking will have a bit of a longer packing list than a simple day hike, as you will rely on everything in your backpack to survive. You will need a backpacking backpack that tailors to the trip your planning. A small day pack will not be large enough to fit all of the gear that you need. Compass and trail map. Since backpacking and trekking trails tend to be longer, it’s always good to have means to find where you are. If you get lost on some of these trails, it could be days or weeks before you get to the next town. Food and cooking gear. For meals on the trail, you will need food, a camp stove, plus a lightweight pocket knife and utensils. Water filtration system. This is a critical piece of gear to take with you. You can’t just stop by a convenient store to buy water when you run out, and if your trip is in the summer months, you’ll run out faster than you’d think. Always pack accordingly to the weather forecast. Not as many clothing items will be required in the summer months, and you can pack a bit lighter. In the winter, you’ll want to pack light-weight wool, down, or synthetic clothing to be sure your pack isn’t too heavy, and that you can stay warm. The dictionary definition of mountaineering is “the sport or activity of climbing mountains”. Mountaineering can consist of many activities within that definition though. These activities include rock climbing, ice climbing, or even hiking and trekking steep mountains with an end goal of getting to the top to camp or merely mark it off as an accomplishment. In general, mountaineering is much more strenuous than hiking vs trekking, and will usually require much more tailored gear to the sport. Ropes, harnesses, carabiners, and even helmets in some cases are needed for mountaineering. Mountaineering requires much more skill and experience, and is usually a group activity, requiring two or more people. Mountaineering can have a different duration on every trip, sometimes just a day, and sometimes for weeks and months depending on location. Some of the most common places for mountaineering will be in major national parks like Yosemite, Yellowstone, or even areas such as the Swiss Alps. Mountaineering is a bit different than hiking vs trekking, as there aren’t quite as many marked trails and areas. Mountaineering is typically the most “off-the-grid” sport when it comes to hiking and trekking. You will need special permits to get to some places. Some even require tests and waivers due to how dangerous it can be. People who are serious about mountaineering typically call their trips expeditions. The duration of these expeditions are usually between three and eight days, but some can go for months. Some areas are very remote, unmarked, and can be very dangerous even for experienced climbers. A guide that is familiar with the region, as well as the skills required, is recommended. What Equipment Do I Need for Mountaineering? Mountaineering, as already stated, is very strenuous and requires much more tailored gear to the sport. You will need much more gear when mountaineering. Rope, carabiners, helmet, harness, picks, proper clothing, and so on. Always make sure that you have a climbing rope that is in immaculate condition. The standard rope that you would use as a tie-down for your gear or something similar will not work and can be very dangerous to use. Climbing rope is manufactured with highly-engineered fibers to assure durability, strength, and a long lifespan. Always useclimbing carabiners. If your carabiners have any tiny marks or cracks, do not use them. These blemishes are called micro-fractures. Micro-fractures can cause gear failure that can be life-threatening. There are helmets made specifically for climbing. These helmets are made to be breathable, lightweight, and protect you in case of a fall. You only need picks if you plan any ice climbing. Note: Ice climbing can be very dangerous for both new and experienced climbers. Always use caution and plan to have at least several people with you if ice climbing is part of your expedition. Proper Clothing. Don’t overpack but always be prepared for the worst. Be prepared for icy conditions as well as hot conditions. Weather can change rapidly at high altitudes. Hiking vs Trekking – What’s the Difference? Definition Walk for a long distance, especially across backcountry or in the woods. Go on a long, arduous journey, typically on foot. Duration (Days) Duration depends on the distance of the trail. Simple day hikes, weekend hikes, and thru-hikes than can take six months or longer. Trekking can also vary depending on the trip. Typically trekking will start around three days and extend longer depending on the trail. Location and Environment Hiking is slightly more versatile than trekking when it comes to location. You can hike in a local or even national park. Trekking is a bit more strenuous than hiking. It will mostly be done in the backwoods such as major trails and mountainous areas. Intensity Hiking intensity can vary per trail. 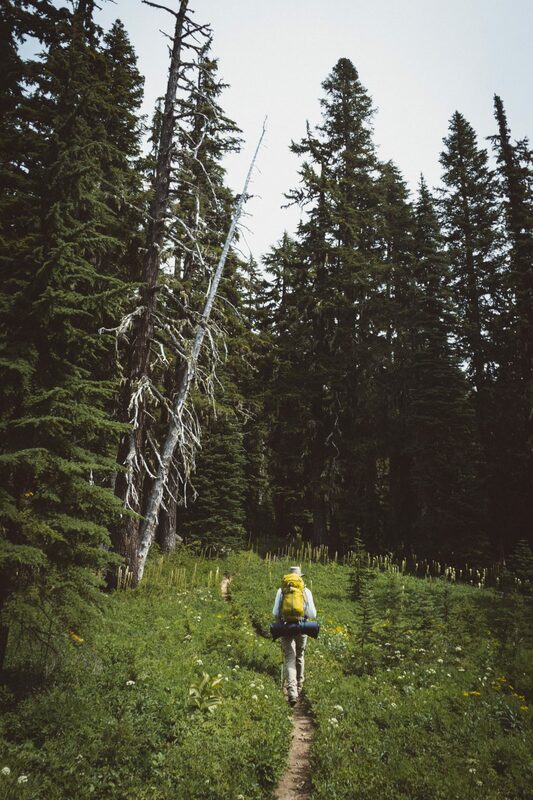 Many hiking trails are well- maintained and range from beginner to intermediate terrain. Trekking will require a bit more skill and experience. You will find steep inclines, rocks, and fallen trees that must have to pass. Trails Most hiking trails are going to be in local, state, and national parks. Clear markers are usually in place on these trails. Trekking trails will usually be in a state or national parks and will be clearly marked. Although, some trials will be a bit more secluded, and may require a trail map to navigate. Equipment Hiking equipment can vary depending on the length of the trip. A simple day trip may require hiking shoes, snacks, first aid kit, and water. Longer trips will add meals, shelter, and additional gear. Since trekking is a bit more strenuous, you may want to add trekking poles, extra water, and hiking boots with added support and grip. 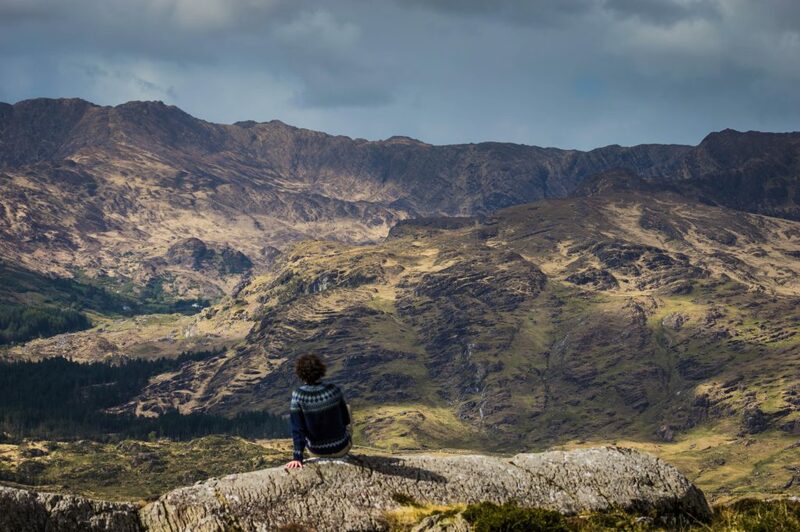 What’s Right For You – Hiking or Trekking? Choosing which is best for you can be a tough choice if you’re starting to get into the sports. For beginners, hiking is the best to start with. Start with day hikes that are less than five miles or so to get a feel for it. After a few of these hikes, you should be able to tell when you’re ready to move to the next level. These day hikes can be very convenient, as local and state parks are a great place to start. Never start with week-long trips in an area in which you’re unfamiliar, and always take someone with you if possible. You may be able to start off with some intermediate level treks if you’re already physically fit. Always listen to your body, especially at difficult levels such as long treks or mountaineering expeditions. If you’re not focused fully, these activities can be dangerous. If your strength is getting low, give yourself time to rest. In addition to choosing the proper terrain, make sure that you have the proper gear for your hike. This includes the clothes you wear, hiking shoes or boots, food, first-aid, and shelter. 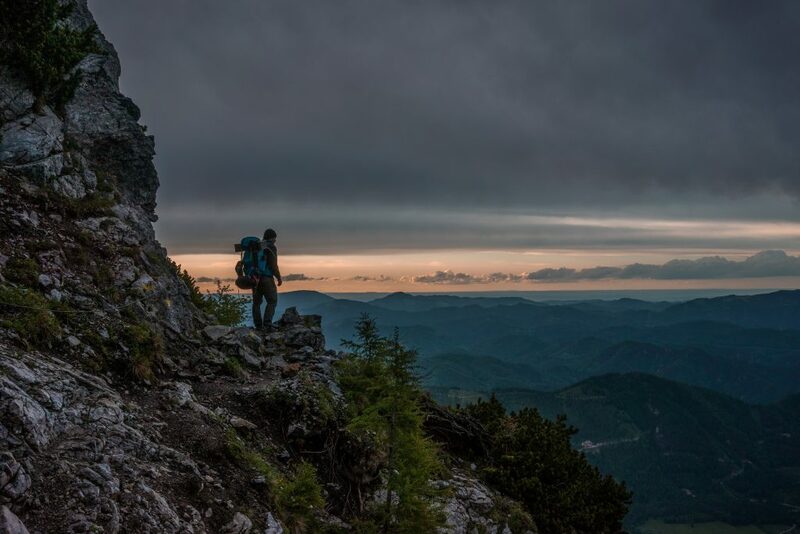 You can also read our guides to the top hiking watches, how to choose the right hiking pants and other recommended travel products here. Bose QC25 vs QC35 II Headphones: What Are the Best Noise Cancelling Headphones? Polypropylene vs Polycarbonate vs ABS Luggage: What’s the Best Luggage Material?